The fight to be Australia's Number One Food Family is on, as eight families go head-to-head in a kitchen battle for supremacy, the winning family walking away with a trophy and $100,000 in prize money. 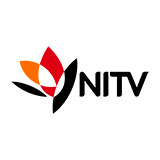 Family Food Fight was broadcast on Channel 9 at Wednesday 12 December 2018, 21:42. Family Food Fight is a TV show on Australian national television from Channel 9 with an average rating of 3.3 stars by TVCatchUpAustralia.com's visitors. We have 17 episodes of Family Food Fight in our archive. 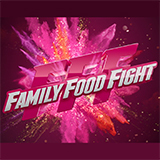 The first episode of Family Food Fight was broadcast in December, 2018. Did you miss an episode of Family Food Fight but don't you wan't that to happen in the future? Please set an alarm and add Family Food Fight to your favourites, so we can remind you by email when there's a new episode available to watch. Completely free: handy!